5 March 2017 – Join MAXSpeed Entertainment at the finale weekend of the VCI Powered by AM Engines Florida Winter Tour 2017 Presented by Fikse Wheels. 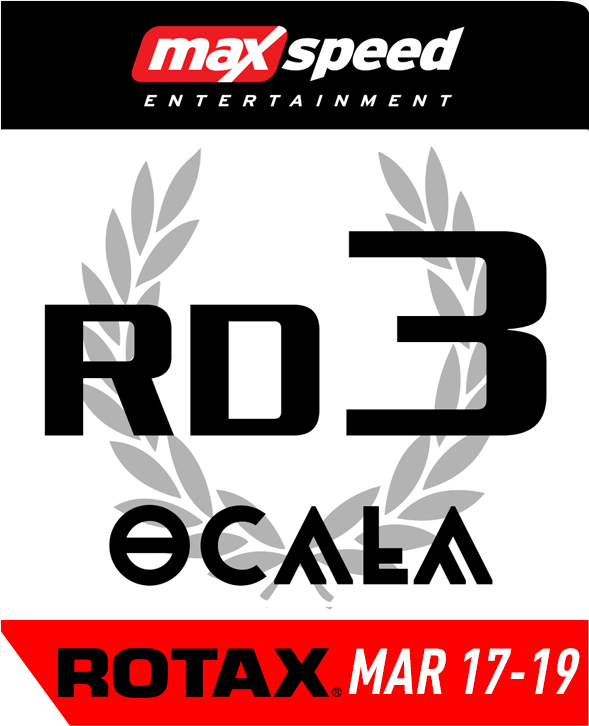 The third round of the Rotax MAX Challenge weekend is set for March 17-19 at the picturesque Ocala Gran Prix in Ocala, Florida. Advanced, discounted registration is now closed; registration remains open. Practice tires, fuel and oil: In an ongoing effort to support our dealer network, all extra items will need to be purchased through these channels whether in advance or at the event. If you need help in locating a dealer, please visit www.gorotax.com or e-mail info@maxspeedentertainment.com.